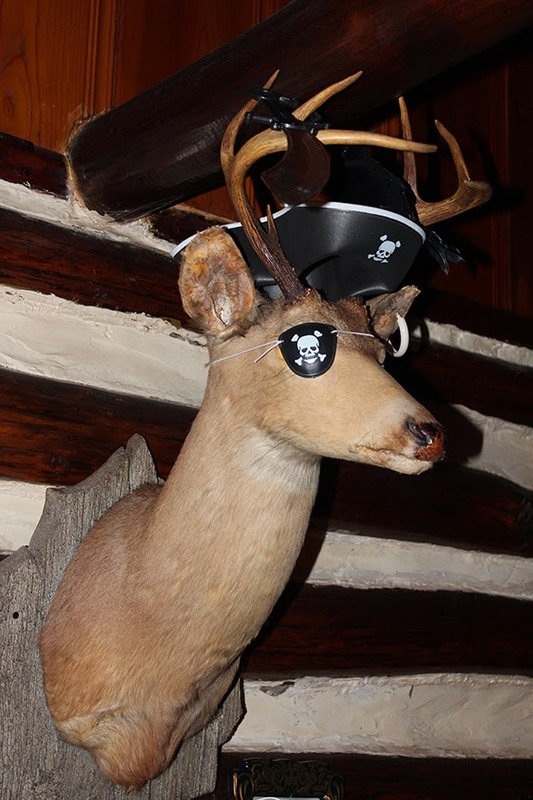 This past weekend we went with our family to Eureka Springs, Arkansas. This is what welcomed us as we entered our cabin. 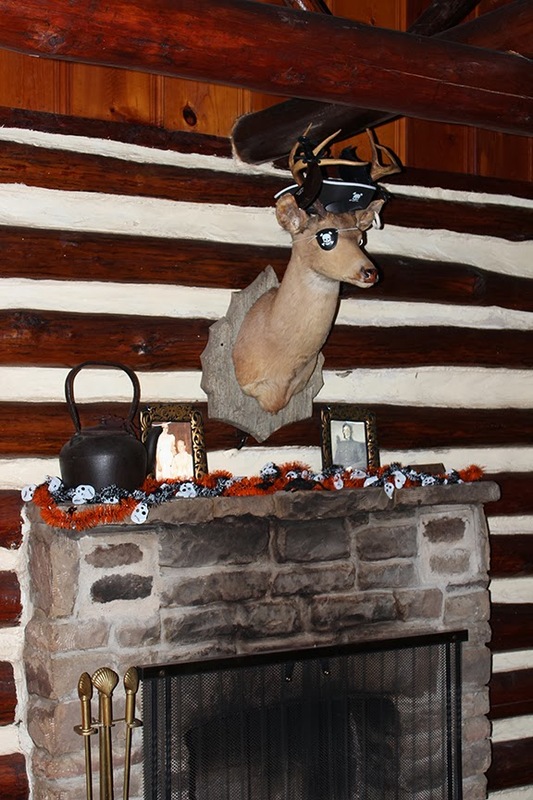 The owners had the mantle and the deer decorated for Halloween. What a great weekend! I'll share more photos with you in the next post of all the beautiful scenery. Before I forget though, I want to announce the winner of my print giveaway. Two ladies came so very close to getting all the differences between the two prints, but the winner is Susie. The only thing you left out were the extra leaves that were scattered on the two large houses. Susie please leave me a comment with your email or email me with your address.